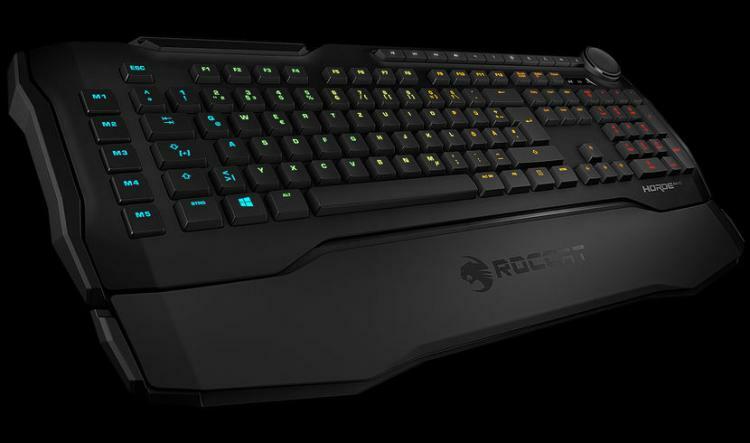 ROCCAT Studios added the Horde AIMO to the AIMO illumination series, setting a new benchmark for keyboards. 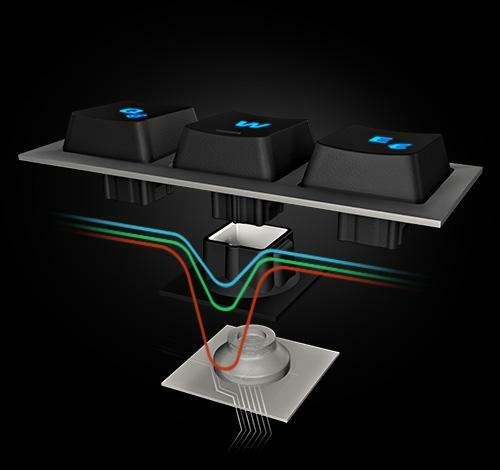 Designed and engineered completely from scratch with a view to delivering a gaming-optimized keyboard that was more precise than the competition: The Horde AIMO features unique Membranical keys which combine the strengths of mechanical and the silent and softly padded feel of standard gaming keyboards. The Horde AIMO also boasts quick-fire macro keys, a configurable Tuning Wheel plus multi-zone RGB illumination customizable in 16.8M colors, making it the most feature-rich rubber dome keyboard on the market. Membranical represents the best of both worlds between standard and mechanical keyboards. Its midway travel actuation point provides the most precise and responsive key stroke ever, with a fast yet silent typing feel. The island layout resists dirt for refined, low-maintenance gaming and mid-height keys with a precision fingertip design vastly improve key distinction. 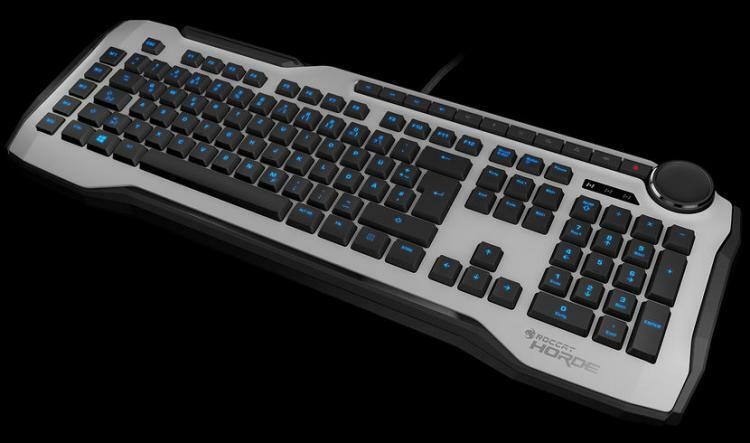 The Horde AIMO reduces the input lag of each keystroke, giving the gamer noticeable edge over the competition. The fully programmable Tuning Wheel and corresponding multimedia keys provide fast and intuitive control for illumination, brightness, dpi, volume and more. They can be completely customized to suit each gamer's specific needs. Rotating freely through 360° with precise, tactile steps, the Tuning Wheel provides on-the-fly command power with accuracy. The Tuning Wheel is also fully compatible with Windows 10 Dial functionality, making the Horde AIMO the first gaming keyboard with this feature. The Horde AIMO is also fully compatible with ROCCAT's Swarm driver system. Its high level of flexibility allows the gamer to adjust all aspects to their individual preferences. "With Horde AIMO we wanted to offer the fans of traditional keyboards the best choice in the market, there is no other option that feels as crisp and precise and offers this level of customization. The Horde AIMO is unique in its kind", says René Korte, CEO of ROCCAT.